﻿ Rodeway Inn International Drive Orlando, Orlando (FL) | FROM $62 - SAVE ON AGODA! 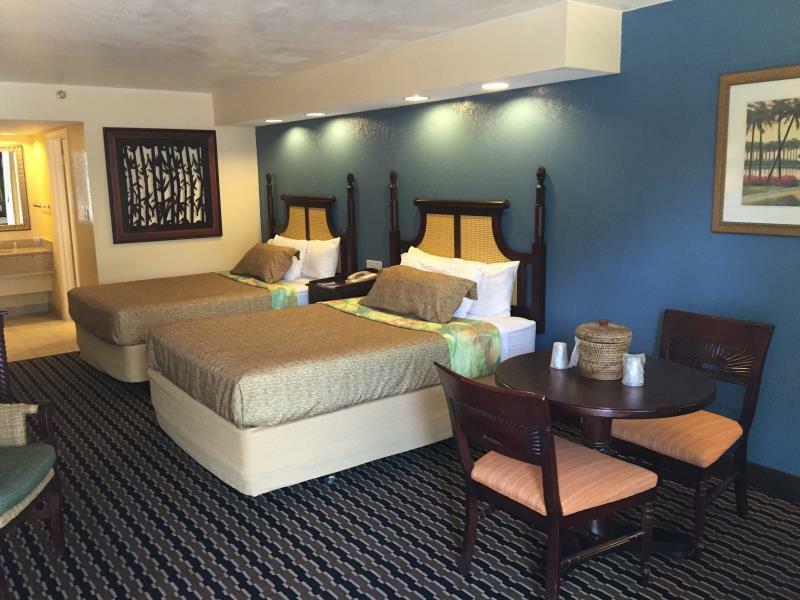 "Pool was clean and the cool water was nice to dip into becau..."
Have a question for Rodeway Inn International Drive Orlando? "Great location with all the happening places nearby"
"Good location room clean and kept clean daily." "Ymca gym was a good deal ." "Room service is very good." 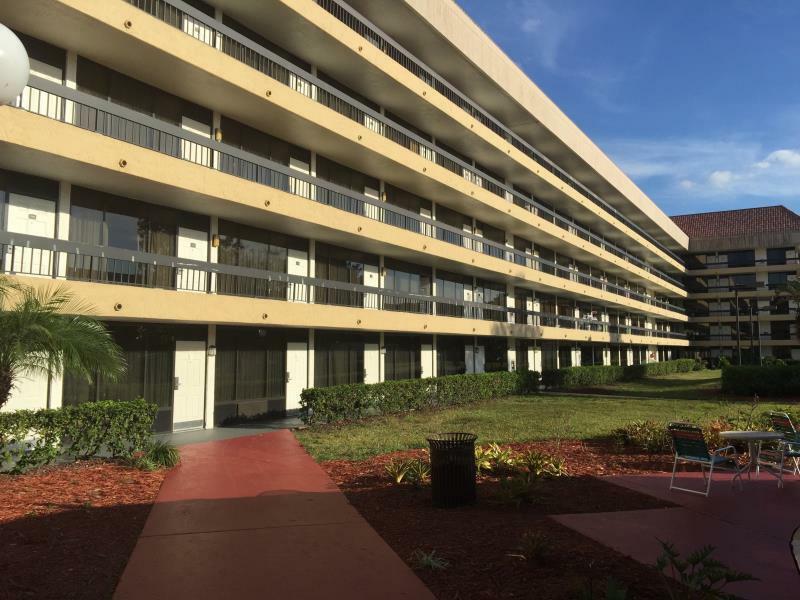 If centrality, convenience and comfort are the driving forces in your selection of a resort, then the Rodeway Inn International Drive Orlando will deliver on all three. 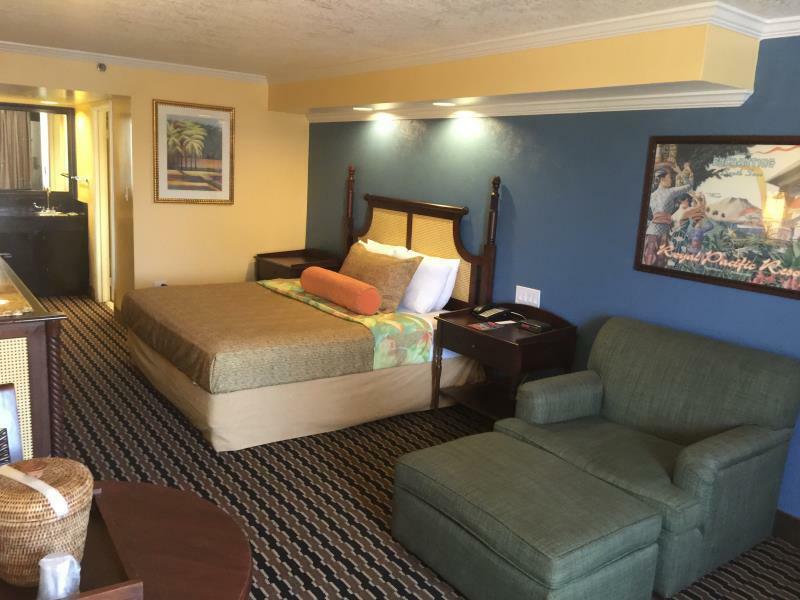 The Rodeway Inn International Drive Orlando contains 522 rooms which are furnished in a homely décor and contain a full range of modern amenities. The Orlando Metropolitan's facilities include several restaurants, pool, bar, jacuzzi, tennis courts, sand volleyball and an adjacent YMCA branch which all guests can avail themselves of. On top of its brilliant array of facilities and service, the Orlando Metropolitan also offers proximity to nearby brimming shopping and nightlife, as well as some of Orlando's most attractive tourist sights, including Disney World and Universal Orlando. If your wish for a memorable experience that touches every last nuance of your expectations has yet to come true, be prepared to have it granted with the Rodeway Inn International Drive Orlando. The property does not permit bookings from local residents of Osceola, Seminole, and Orange County. I had just returned to Florida from a 20 day business trip, and my lady and I wanted to bring the new year in, in Orlando. We booked the room, Online the hotel looked great. When we arrived the hotel had a different name than the website, on a tacky banner no less. The desk clerk took a lifetime to register the 3 guest ahead of me; There was construction supplies everywhere so parking was terrible. we got in the elevator that seemed like it was circa 1950. We reached our room and there was a stench that was very evident; the closet was unfitting of a hotel in this area; The toilet didn't work properly, it constantly ran and was annoying even with the door closed! And to top it off, we, had to take the tank cover off and lift the float by hand! I put up with this for the first few usages but, after a while my ire was up. I headed to the front desk to lodge a complaint, wasted energy NO help! holes in blanket. If I could have gotten my money back, I would have fled this fleabag. F-!!! I didn't spend much time at the hotel aside from a good 7-8 hours of rest. Was in Orlando for a conference, and the location made it easy to walk to a ton of restaurants/bars/entertainment that started from the front steps and stretched maybe a couple miles in each direction. No shortage. Pool was clean and the cool water was nice to dip into because of the warm air. Bed was clean and comfy, couldn't hear anything outside. I'd go again -- had a nice stay! Good location. But whole place under construction!!!!! No refrigerator, microwave, no ice machine worked. 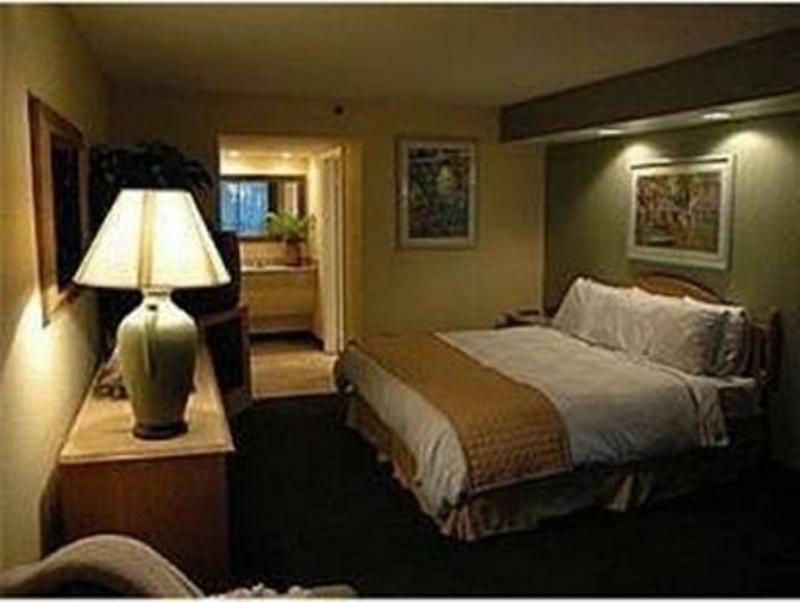 All rooms were supposed to be NON smoking, but smokers everywhere and we switched rooms twice because of the smell, and to get into a handicap room, and a room with a refrigerator and microwave. But gave our handicap room to someone else. Only one elevator worked on the property. 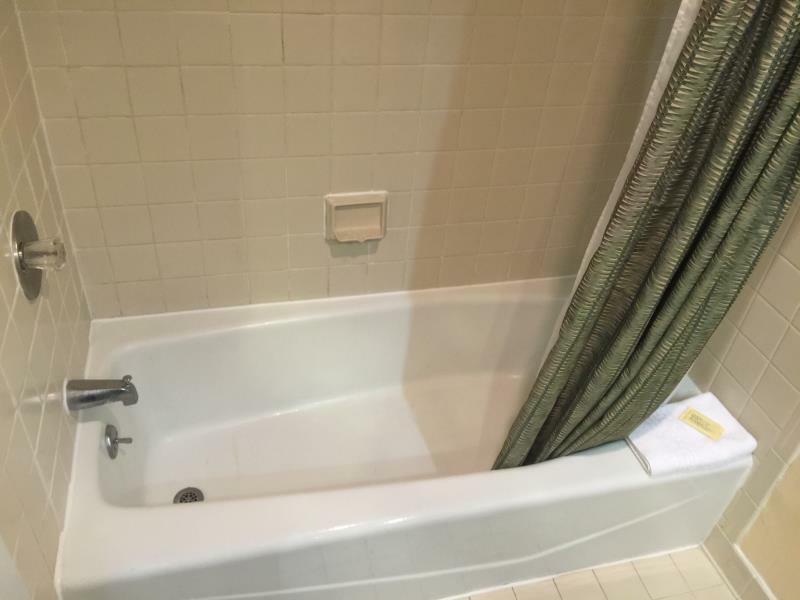 And the website didn't let us know about any of the construction..... We are wanting to go back to Orlando in March for our 30th anniversary and would love to stay here if we can get a handicap room facing I Drive, that is Non smoking and has a refrigerator and microwave in it. The manager was rude and condescending, especially since he confirmed he hated his job when asked. ALSO, this hotel is NOT A RESORT! It is 2 hotels with 1 lobby conjoining it...1 hotel, being the LEFT SIDE, Metropolitan Resort, is dicusting, poor service, most Non working A/C's, Old squeaky and disgusting beds, floors, and the walls and ceilings have spackle repairs which is messily all over things like the mirror, toilet, floor etc. The whole on the entertainment stand is just a reminder of where there once was a mini fridge and microwave. The huge smell of cigarettes and tobacco in and out of the various rooms we tried to find, water draining in all the halls from the a/c's trying to función, dirty walls on the building stairs and everywhere, and most elevators do not work and the one that does is a discusting joke.The 2nd, hotel's RIGHT SIDE from the Lobby, being The ALLURE, is TOTALLY the contrary! We ended extending our stay to that one! Immediately a HUGE DIFFERENCE! 4.5/5. The hotel chk in is for a couple hotels and Road way inn is this locations name. Maid knocks on the door like shes worked there so long i was in the way i asked her if she was rushing me at 9:30. Thats just customer service flaws and youll get that in workers offer to speak with a manger not on site not there buddie, if its gets to ridiculous. AC cover was loose and had to be fixed. Rm phone rung at 2am and hung up. Tv, did not work on my last day, there was not use inform them because nobody cares anyway. I asked 4 times for towels, pillows, tissues. Bathroom door cold not close freely. Too many things wrong in this hotel. When i arrived i got my key went to the room , there was 1 towel no iron . We went out came back the room key didnt work . I went to the front desk the guy told me that i wasnt even checked in . Then they charged me the resort fees only after i complained about the room key not at check in . During the night someone tried to go into out room and the worst is we left today and my husband is covered with bug bites alll over and so am i that we got overnight at the hotel and there was a roach on my pillow when i woke up.. Will not return . The room was clean. If you just want a place to sleep because most of your time will be at the parks then this a place for you. The elevator seemed like it was in need of repairs. The ceiling was leaking every time I took a shower. The good thing is they are remodeling because I saw people working on the rooms downstairs. Will I come back anytime soon? No. Maybe in a couple of months when they are done with the remodel. Clean and safe. Don't expect nice pool and high end amenities. In their defense, it was recently purchased an we saw work being done on property. After reading, I was TERRIFIED of going here. I was freaking out and just waiting for the worse, but it was as bad as I thought it would be. Yes, the elevators didn't work, we had to walk up 5 floors 9/10 every time we tried going to our room, they gave us just 2 towels, no soap, no shampoo, or anything like that, the phone didn't work, and the room smelled like old people BUT it is not as bad as I thought it was gonna be. I didn't have any issues with the staff, they were actually nice. HOWEVER, I rather pay 20$ more and get a way better hotel so I won't be going back.